Money….. and apparently it makes the world go round, although sometimes when I look in my bank account, it doesn’t feel round at all, more often than not it resembles a big heavy square block of zero. Cold hard cash and there never seems to be enough of it, for most of us. From the beginning of our life, there is so much emphasis on the all mighty dollar. Heck even before we are born, we could hear our parents quarreling over money in the safe haven of our mother’s belly. When we were kids what was the most verbalized quotation we heard from our Tribes mouth, ‘ no, you can’t have that, I can’t afford it’! Unfortunately, those same words are more than likely something that you yourself have definitely inherited and can be quoted as saying more frequently than you would like. What if there was no such thing as money, and who the heck invented it in the first place, what a fool! What if we just exchanged goods with each other. You give me a haircut and I’ll give you a Yoga lesson, you plow my driveway and I’ll bake you some healthy bread. 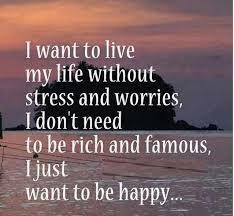 If this were the case, then we would only need a little bit of money, instead of stressing over needing a lot. It doesn’t sound realistic, not in this day and age, perhaps it will be something in the future that we will go back to, who knows! As humans we all know that to some extent we have a need to control the undercurrents of our environment. Most of the illness that originates in our body is activated by the fear of losing control. So it might be safe to say that much of what we physically suffer from is because of stress and worry. some of which is of money. I sure hope this is the case for all of us in 2019, give us a break Universe.